is an EU-funded project that aims to empower IT and non-IT big data experts to easily utilize and interact with big data technologies. and facilitates cross-domain data-flow towards a thriving data-driven EU economy. I-BiDaaS aims to empower users to easily utilize and interact with big data technologies, by designing, building, and demonstrating, a unified solution that: significantly increases the speed of data analysis while coping with the rate of data asset growth, and facilitates cross-domain data-flow towards a thriving data-driven EU economy. I-BiDaaS will achieve its goals following a methodical approach. As a first step, it has guaranteed access to real-world industry big data. I-BiDaaS will proceed with breaking inter and intra-sectorial data-silos, and support data sharing, exchange, and interoperability. Having done so, it will support methodical big data experimentation by putting in place a safe data processing environment. To develop, validate, demonstrate and support, a complete and solid big data solution that can be easily configured and adopted by practitioners. To break inter- and intra-sectorial data-silos, create a data market, offer new business opportunities and support data sharing, exchange as well as interoperability. To develop technologies that will increase the efficiency and competitiveness of all EU companies and organisations that need to manage vast and complex amounts of data. To develop data processing tool and techniques applicable in real-world settings and demonstrate significant increase of speed of data throughput and access. To construct a safe environment for methodological big data experimentation for the development of new products, services, tools. 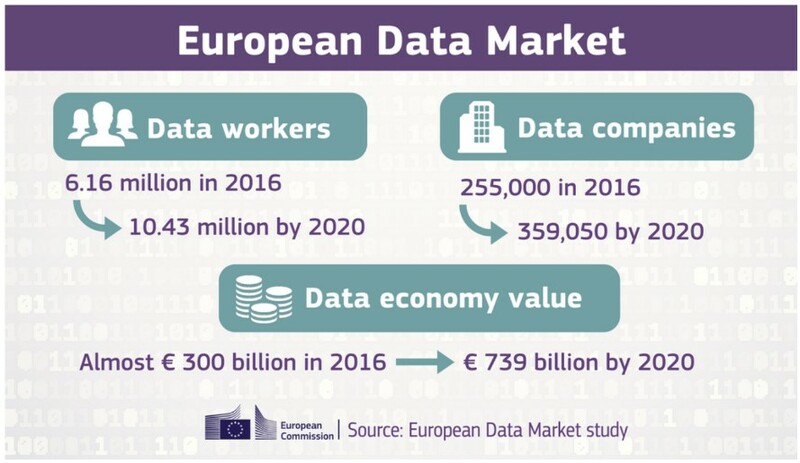 Data Economy is an integral part of the Digital Single Market strategy of the European Commission, and as such, it is considered as an essential resource for growth, competitiveness, innovation, job creation and societal progress in general. It is however widely acknowledged by the industry that many companies continue to struggle to turn opportunity from big data into realized gains. There is little actual knowledge on how organisations translate the potential of big data into actual economic and social value. I-BiDaaS can deliver a full array of big data business analytics solutions for structured, unstructured, noisy data for companies in multiple industries that are more accessible, cost-effective and employee-empowering than existing solutions, which gives companies the confidence to deploy Big Data Self-Service solutions across the organisation, from consumer-facing employees with little IT experience or expertise to top. This project has received funding from the European Union’s Horizon 2020 Research and Innovation program under grant agreement No 780787. The website reflects only the view of the author(s) and the Commission is not responsible for any use that may be made of the information it contains. © 2019 I-BiDaaS. All Rights Reserved. Designed by ITML.